The all-stars and major award winners for the 2015 Scotties Tournament of Hearts were unveiled on Saturday night in Moose Jaw, Sask. 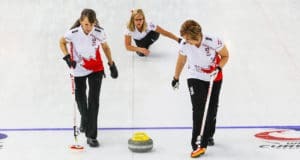 Three members of Team Manitoba earned first all-star team nods — third Kaitlyn Lawes, second Jill Officer and lead Dawn McEwen — while another, skip Jennifer Jones, was named to the second team. The all-stars were decided based on players’ shooting percentages during round-robin play. 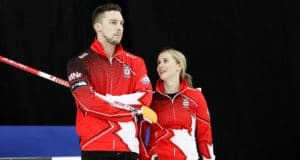 For both Officer and McEwen, it was the sixth time they’ve been named to the Scotties first all-star team. The Joan Mead Builder Award was presented to Regina’s Bernadette McIntyre. 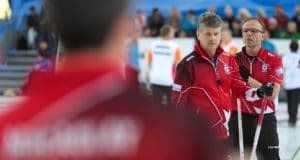 Each year, this award is presented to an individual who has made a significant contribution to the growth and development of women’s curling in Canada. The Builders Award is named after Joan Mead, the late CBC producer who is credited with many innovative developments in curling broadcasting. McIntyre was the chair of the 1998 Scott Tournament of Hearts host committee, was the executive vice-chair of the 2008 Scotties host committee and also volunteered at the very first Tournament of Hearts, in 1982 in Regina. The Marj Mitchell Sportsmanship Award was presented, for the second straight year and the third time in her career, to Saskatchewan third Sherry Anderson. The cherished Award is voted on by the curlers and is named in honour of the late Saskatchewan skip who won the first world women’s title for Canada in 1980. 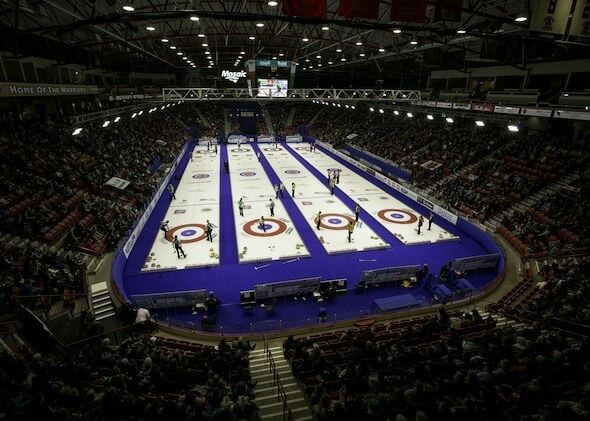 The award honours an individual who the competitors feel exemplifies the spirit of curling.